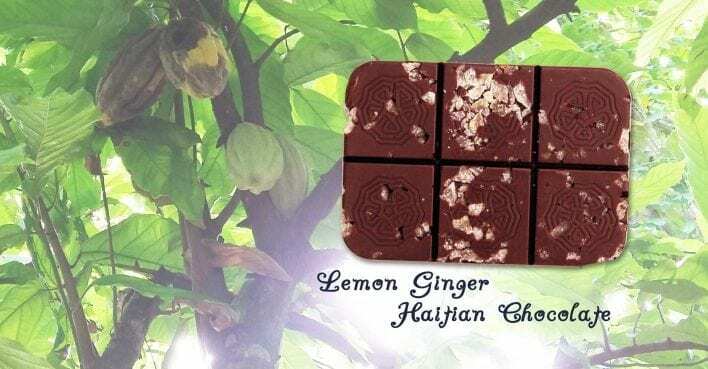 New: 25 bars of organic lemon-ginger Haitian chocolate, wholesale. Don’t have a wholesale account? Want to put Haitian chocolate on the shelves? Read our Frequently Asked Questions & then register an account. Forward your registration email to us along with the name of your business and link to your website. If you’re a nonprofit and want to add Haitian chocolate to fund raising events – we do that. Read our Frequently Asked Questions, then register an account. Forward your registration email to us along with the name of your nonprofit and link to your website. Know this : customers support farm-direct products like ours. Moreover, buying products from Singing Rooster directly supports Haiti’s small scale farmers. Given the damage wreaked by hurricane Matthew, Haiti’s cacao farmers are in greater need than ever to sell crops. 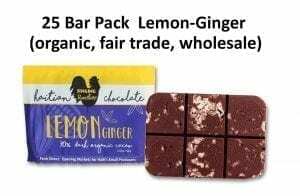 We purchase crops for higher than fair trade market value and then transform those crops into higher value items, like chocolate bars. 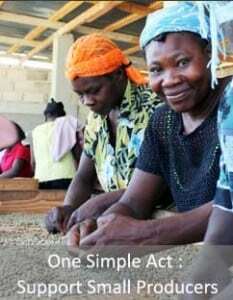 We take our own proceeds back to Haiti to build better businesses. Haiti doesn’t need continuous handouts; it needs long-term solutions. Putting Haitian chocolate, coffee and art on YOUR shelves (or at your fundraiser) makes a significant difference and moves Haiti in the direction of becoming self-sustaining.